Last week, I kicked off my “avid reader” special, in which some of the most avid readers I know share their Top 5 reads of 2015. Paul Weimer, book reviewer, podcaster, and a Mind Meld convenor on SF Signal, is unquestionably part of that elite crew — so without further ado, here are his Top 5 picks for 2015. 2015 has been a bumper crop of books for me to devour. I’ve enjoyed the end of series of old favorites, the start of new series by beloved authors, and eagerly tried some debut authors too. Limiting myself to five was difficult, but here are my favorite five books of the year. The intersection of art, and politics, and magic, and desire and much more infuse the sumptuous and rich world of Ilana C Myer’s debut novel. Myer also does a high wire act of balancing what starts off as a relatively traditional setup with subverting reader expectations, and the expectations of the characters within the narrative as well. The writing is evocative, immersive, and draws you inexorably into the author’s world. De Bodard’s prior works, from Aztec Mysteries to Dai Viet Space Opera have been marked by strong characters, interesting worlds, and complicated societies. The House of Shattered Wings gives us a post-Great War Apocalypse Paris, where the city, or what is left of it, is run by noble Houses headed by fallen Angels. Her trio of central characters dropped into the terrible glory of this landscape form a core of character interactions, desires and ambition that draw the reader through the narrative. The secondary characters, too, are as potent and memorable, providing a tapestry of a social web I happily became trapped in. A being of immense power rules a large amount of the American West, in an alternate 19th century, from the town of Flood on the edge of civilization. Is he really the Devil? Whoever he is, Isobel Tecoya seeks to become his Right Hand, his agent, a manifestation of his authority and power. To walk as the Devil’s Right Hand and walk his territory in his name is a hard road that Izzy decides and sets out on, and the journey will change her forever. Dark Magic, a coming of age story, and a Weird West unlike any other swept me into the author’s novel. Kirit lives in an amazing New Weird world, at the top of a tower of bone, one of a collection of such towers growing upward from the unknown and deadly world beneath the clouds. Kirit wishes no less from life than to fly between the towers as a trader, just as her mother does. Old secrets, her family’s past, and circumstance draw her instead from that career path into the gyre of the political and social force that governs and holds suzerainty over the towers from its very heart. Against her will, Kirit must learn to soar in ways she never expected existed, much less learn. 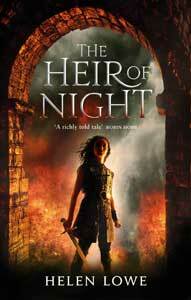 The new weird setting, the strength of Kirit’s personal story and the well oiled plot made this novel soar for me. I have been known as a fan of the work of Kate Elliott since the late 1990’s, when I discovered her work thanks to a Nebula nomination. But how would a writer who writes to epic fantasy length, and long series, do in a compact, YA format? Fabulously, as it turns out. Court of Fives is an Epic Fantasy in a YA mold for teens and adults alike. A world inspired by Ptolemaic Egypt, an athletic competition that puts the Hunger Games to shame, and a burning ember of a protagonist who is not afraid to fight for herself and her family: Court of Fives features the strongest, cleanest, and purest writing and story I’ve ever read from a favorite writer, and I want to read the continuation of Jessamy’s story, yesterday. 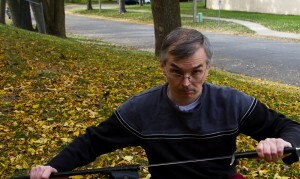 Paul Weimer is a writer, gamer, blogger, podcaster and ubiquitous genre enthusiast. At venues ranging from Skiffy and Fanty, to SF Signal, SFF Audio and beyond, he can be found exploring the world of science fiction and fantasy. He can be found on his own website http://www.skyseastone.net/jvstin, on twitter @princejvstin, and many other places on the internet. And check back in Monday 28 for the 3rd installment of this series. I regret that I’ve only read 2 of these 5 books. And don’t have any of the other 3, so I can’t even go read them right now! I agree with the 2 I’m familiar with, though; they’re really good books! I have one of the books and am planning to start reading it over the Christmas holidays. I’ve been wanting to read 2 others on the list for a while now, but I am currently very busy reading short fiction. I suspect Paul Weimer and I have similar reading tastes.